While the event is expected to be an extension of Congress’ escalation of the multicrore Rafale deal, the employees’ union of HAL has categorically refused to take part in Saturday’s event. 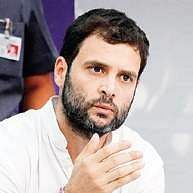 BENGALURU: All India Congress Committee president Rahul Gandhi will be in Bengaluru on Saturday to address a gathering that is expected to include former and current employees of Hindustan Aeronautics Limited (HAL). While the event is expected to be an extension of Congress’ escalation of the multicrore Rafale deal, the employees’ union of HAL has categorically refused to take part in Saturday’s event. “We represent the government and will not meet any political forums. We are government employees and represent Prime Minister Narendra Modi and Defence Minister Nirmala Sitharaman. We are pained that HAL has not been given the opportunity to manufacture Rafale, but we have spoken to the Defence Minister about it,” said Suryadevar Chandrashekhar, General Secretary, HAL Employees’ Union. With this, the union has officially declined to be part of the event. The Congress, however, believes that many employees will attend the event in their personal capacity. 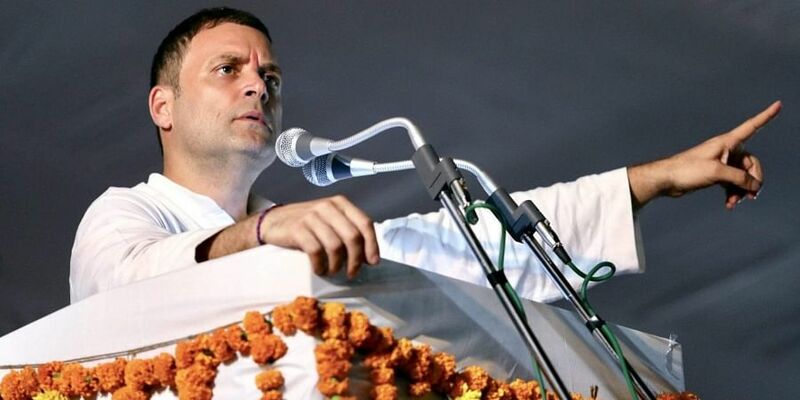 “Rahul Gandhi will be here to speak about the achievements of HAL and stand in solidarity with the employees. Everybody is welcome to take part in it,” said KPCC working president Eshwar Khandre. While Congress has stated that Saturday’s event outside HAL’s corporate office at Minsk Square is being organised by private persons who have great respect for HAL, Rahul’s visit is expected to be nothing short of a spectacle, given the busy junction that has been chosen as the venue. Rebellion in the Ramanagara district unit of Congress against the poll pact with JD(S) is showing no signs of subsiding with rebel leader Iqbal Hussein threatening to contest as an independent if the party leadership fails to announce its official candidate by October 14. The Congress leadership has authorised its troubleshooter and Ramanagara district minister D K Shivakumar to quell the trouble. Shivakumar spoke to Iqbal Hussein on Friday and appealed to him to adhere to the poll pact with JD(S). Expressing his displeasure at the protest by party workers in Ramanagara and the vandalism at the Congress district office, Shivakumar reportedly tried to convince Hussein that the pact needs to be honoured in the larger interest of the party to defeat BJP. Shivakumar conveyed his strong resentment against another rebel voice and party MLC C M Lingappa, whose son Chandrashekar Lingappa joined BJP. The Congress local leaders in Ramanagara have announced their decision not to campaign for JD(S) candidate Anita Kumaraswamy. Hussein is contemplating contesting as an independent against Anita. He had polled about 70,000 votes against H D Kumaraswamy in Ramanagara in the recent assembly election. A clear picture as to whether Hussein will contest or not is likely to emerge on October 14 and October 16 is the last date for filing of nominations. “We need to adhere to certain decisions in the national interest even if those decisions hurt us,” Shivakumar said.